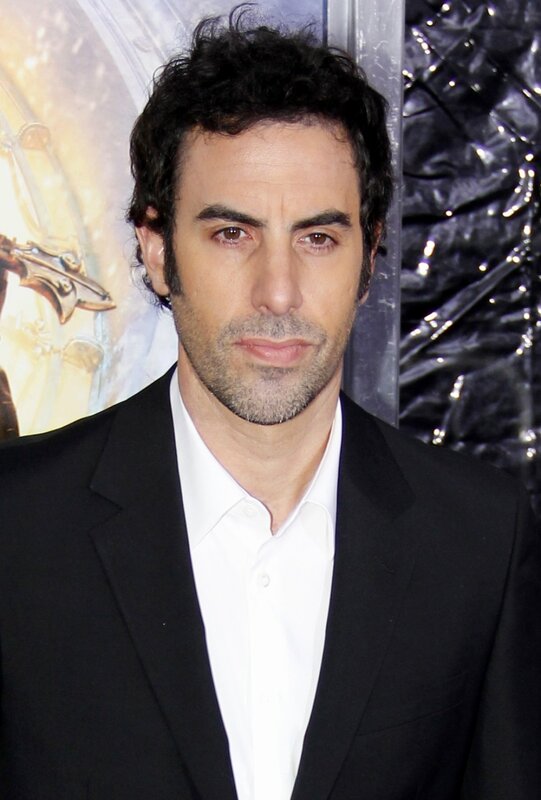 Sacha Baron Cohen's new "The Brothers Grimsby" comedy movie is causing quite the stir with a scene in which Donald Trump contracts the AIDS virus. According to the Hollywood Reporter, the end-credits scene features a character representing "Harry Potter" star Daniel Radcliffe contracting AIDS. In a later scene, the Radcliffe look-alike is shot and his blood sprays Trump, infecting the presidential hopeful and former "The Apprentice" star. Neither Radcliffe or Trump actually star in the film. Sony Pictures, the studio behind the comedy, was reportedly nervous about the scene and attempted to have Cohen remove it from the film. Speaking with Entertainment Weekly, Sony refuted the claims stating that they are "100 percent supportive of the filmmaker and the film." During "The Brothers Grimsby" North American premiere Thursday, Cohen slammed Trump calling him a "demagogue" before discussing the AIDS scene. "Daniel Radcliffe was not involved in this movie and does not have HIV/AIDS. Donald Trump was not involved in this movie, but...," he said before taking a long pause to ponder before continuing "and does not have HIV/AIDS." Cohen and Sony did add a disclaimer at the end of the film staring that the real Trump did not participate in the making of the movie. Trump and Cohen have crossed paths before with Trump walking out of an impromptu interview with Cohen's character Ali G back in 2003. "The Brothers Grimsby" opens in U.S. theaters on March 11. While appearing on "Conan" recently, the 44-year-old jokingly explained how he was threatened by "Oasis" star Liam Gallagher when they met at the GQ Awards in London. Cohen explained to Gallagher that he would be making a joke about him onstage but after that didn't happen, the comedian explained he was confronted in a violent way. "So Liam Gallagher comes over and says, 'Why the [expletive] didn't you take the [expletive] out of me tonight?' and I said 'I just didn't get round to it, and he said, 'Do you know what? I'm going to stab you in the eye.' I've never heard such a specific threat ... Eventually he didn't stab me," Cohen explained to host Conan O' Brien. In response to the story, Gallagher's spokesman clarified that "it wasn't just the one eye, it was both."